Update from my last post - half of this pub is now a plumbing shop! The other half is still closed and empty. Still closed but building work taking place inside as I passed today. Looked closed when I passed last night. Mentioned in this weeks Wirral News as one of three Wirral pubs that are under police investigation following theft of gas. In the case of the Punch Bowl an estimated �35k - �40k worth of gas had been stolen. A 17-year-old from Huyton has been released on bail after being arrested this morning (Tuesday) on suspicion of arson. 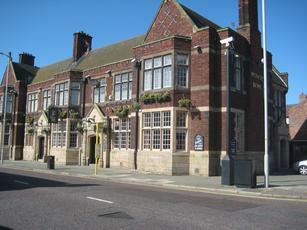 His arrest followed a fire at the Punch Bowl pub in Market Street, Hoylake, on Sunday and a series of arson incidents at pubs across Merseyside in recent weeks. Fires were also started at The Shippperies pub and Durning Arms in Edge Hill, Merseypride in Anfield, The West Derby in West Derby, The Richmond in Liverpool city centre, The Oak Tree and The Swan in Huyton, Roughwood Hotel in Kirkby and Green Pepper Club, Broadway. Firefighters were called to the Punch Bowl at around 1.15am on Sunday following reports of a fire inside. The Market Street pub was closed at the time and no-one was hurt during the incident. It is believed that the fire was started by accelerant being poured through a broken window and set alight. If it re-opens perhaps someone can put up a review.